Simply put...I adore barns! 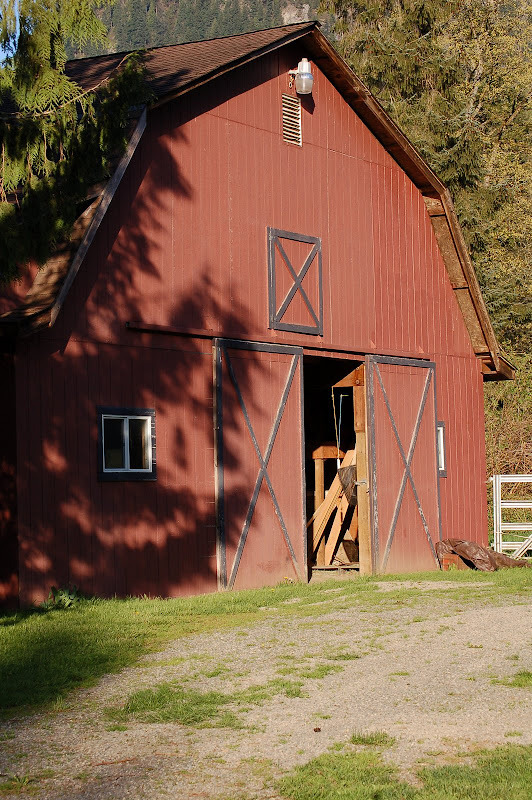 If someone hadn't already thought of barns for the subject of a gorgeous coffee table book, that would've been my gig. 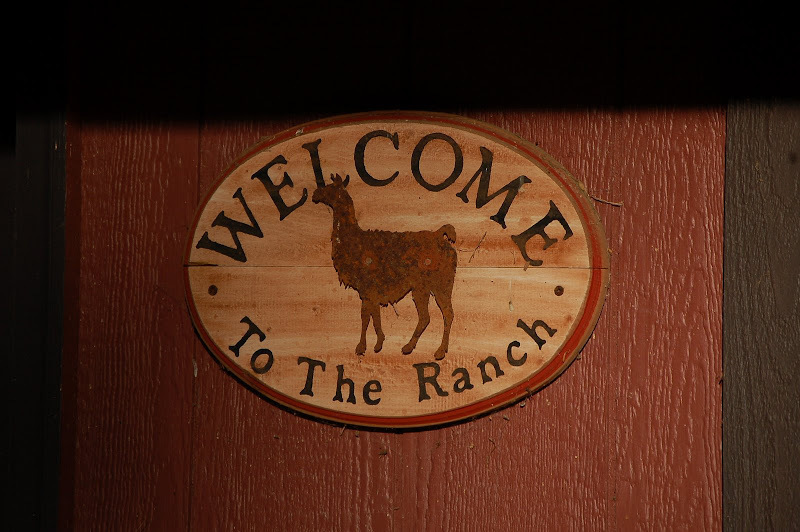 Traveling around the country --- finding new barns, old barns, multi-million dollar barns, little one-horse-but-cozy barns and taking their pictures would've been fun. Instead I look out my kitchen window a bazillion times a day and get a daily snapshot of my barn. Our family of four built our barn in the early '90s. We drew up our plans for 5 stalls, a wash rack, tack room and a shop for Dad. We needed a porch for the barn warming BBQ, the graduation and birthday parties and horse racing partnership dinners. The clear span hay loft was for Cub Scout sleep overs, games of hide 'n seek, snoozing barn cats and of course, hay. Tons of the stuff. We knew we couldn't afford to have someone build our barn, so we took on the task ourselves. Many a summer night we ate "Chinese" because I hadn't seen the kitchen since early morning. We offered "free freezer beef" (ala Les Schwab!) to all comers who showed up early one Saturday morning for the concrete pour of the barn aisles and front porch. My goodness we were an elite team. Sleeves rolled up, boots covered with the gray goo we slopped our way through the job. Afterwards we feasted on hot dogs, potato salad and cookies from Costco...all served with a chuckle on a lace tablecloth covered picnic table. Besides the two legged critters the barn has housed horses. The full sized ones were Quarter Horses, Tennessee Walkers and a Peruvian Paso. They were horse show mounts and mounted cavalry re-enactment partners. The little guys are miniatures: Quaker, Raider and Otis. The donkeys were Sir, the mammoth and now Pistol Pete, the rescued small standard. The chickens were Rhode Island Reds, Buff Orpingtons, Aracuanas and Plymouth Barred Rocks. Throw in some woolly llamas, a dozen barn kitties and "The Mule from Hell" and it's been quite a menagerie. 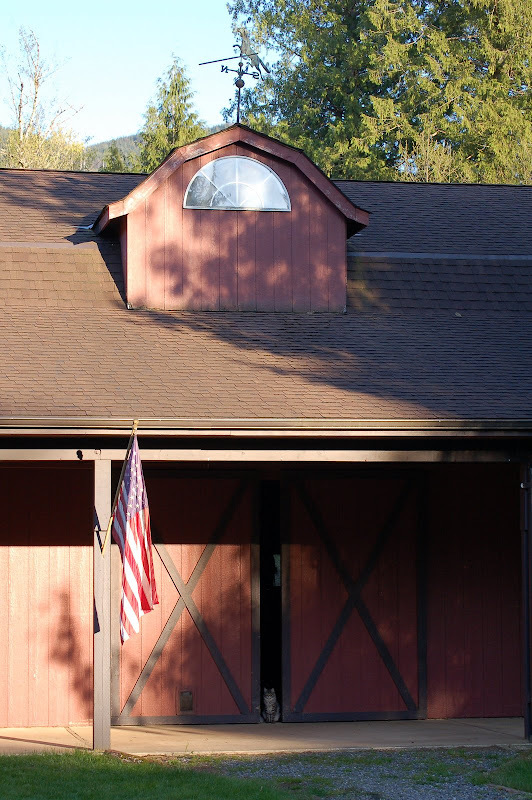 A barn is a building that learns to multi-task. Pets and farm animals live there, sure. The engine being rebuilt by son Bryan resides there until the day, all gleaming in new 'Chevy orange', it rejoins it's muscle car body. The farm paraphernalia lives there: the implements, the animal feed, the gardening supplies, the trappings of horsedom. Tires are swapped according to the seasons. Boat hulls hang from the rafters as their marine paint dries. The word 'barn' says it all. Sigh...our barn isn't as busy as it used to be. No more 4-H horses being trained and loved on by a teen aged daughter. No more big block engines, teetering on stands, waiting for their custom chrome. No more hens clucking triumphantly as eggs are laid. But, thank goodness...it's still a home to early morning nickers at feeding time and head bumps from the cats in the hay. It's still my 'home away from home'. Very, very nice(writing and barn). 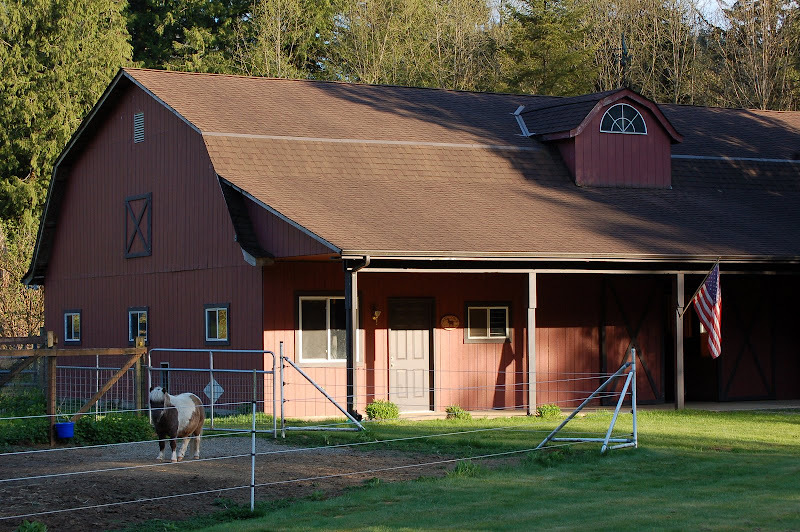 And you want to move away and leave this beautiful barn? I want to thank you for continuously visiting my blog and all of your support. Your blog is awesome...I could learn a few things from you. I do all the videos from my blackberry phone which is pretty darn handy. 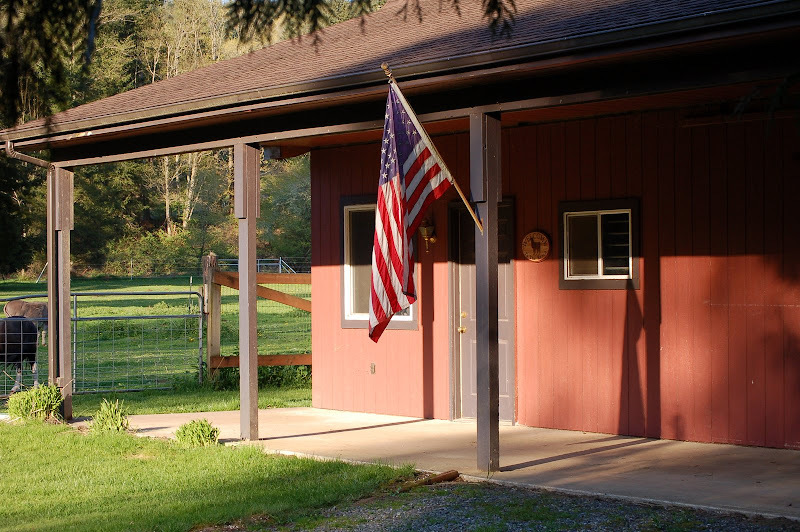 Your place in Enumclaw is gorgeous. I love the photo of you and Bruce. Now I want a barn -- how would I fit it at the townhouse? Maybe it's time to move out of town to the open spaces. How many folks does it take to raise a barn?